One of the most complete AR riflescope lines has expanded even further with the release of Nikon’s new M-223 1.5-6x24 BDC 600. This new M-223 is made with a 30mm main body tube, giving it added durability and a wider adjustment range. 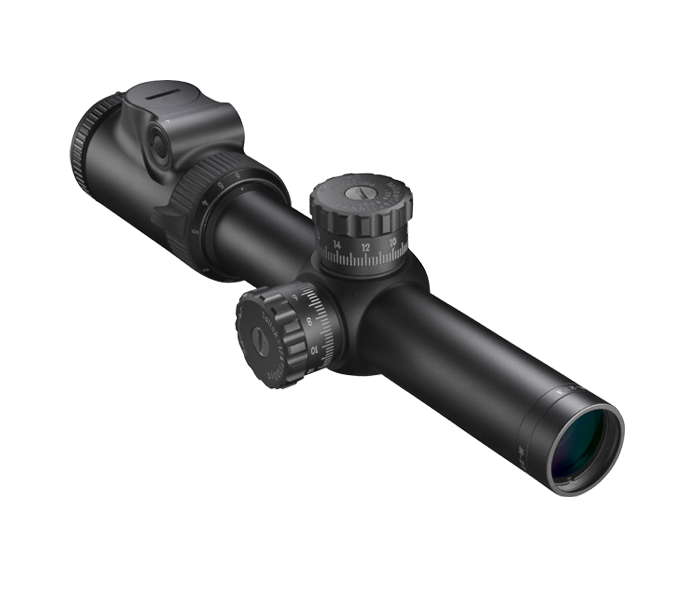 There is also an illuminated reticle version, making this compact riflescope even more effective in low-light situations. The M-223 is also available with an illuminated reticle to give shooters an added advantage during low-light situations. The illuminated reticle can be adjusted to different brightness settings using the push buttons on the eyepiece and has up to 32 different levels of intensity for the orange center dot. When the illumination feature is turned off, the last brightness level is saved. Nikon engineered the entire optical system in the M-223 to provide the shooter with maximum brightness and maximum light transmission. The result is an extraordinarily clear sight picture. To simplify field adjustments, Nikon has integrated this feature into the M-223 riflescopes. Just sight-in as usual, then lift the spring-loaded adjustment knob, rotate to your “zero”, and reengage. Field adjustments are now as simple as dialing-in your subsequent ranges. Like all of Nikon’s riflescopes, the M-223 series is optimized for use with Nikon Spot On Ballistic Match Technology. Spot On allows you to discover all of the exact aiming points on your scope’s reticle at various yardages for your specific ammunition and load.